At Abidis we work on the manufacture of cosmetic products for professionals.Find the right cosmetics of the highest quality for the different treatments: cleaning, toning, peeling and many more.Discover more about the best brands of professional cosmetics. Cosmetics for professionals represents a commitment to excellence and to the highest quality standards.Innovation and results are the objectives we pursue at Abidis with each of our cosmetics. 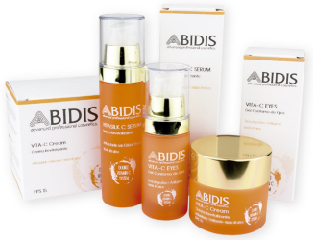 Abidis is positioned as a leading professional cosmetics brand with cosmetic products that cover all the needs of the most demanding professionals looking for a brand of reference they can trust where they can find specific products to offer a quality service with treatments that satisfy their customers. The customers’ demand for aesthetic treatments is always of the highest level.This forces cosmetic professionals to work with professional cosmetic products of the highest quality. All Abidis cosmetic products meet the highest demand and quality standards to meet the demands of cosmetic professionals. On the Abidis website you can consult the technical file of the different products in addition to the recommended use protocols of the different products. ARE YOU A PROFESSIONAL FROM THE BEAUTY SECTOR? Discover all the products of the Abidis new professional line.